Amundson was an infectious personality, whether behind the bass in Cascades or behind a camera. 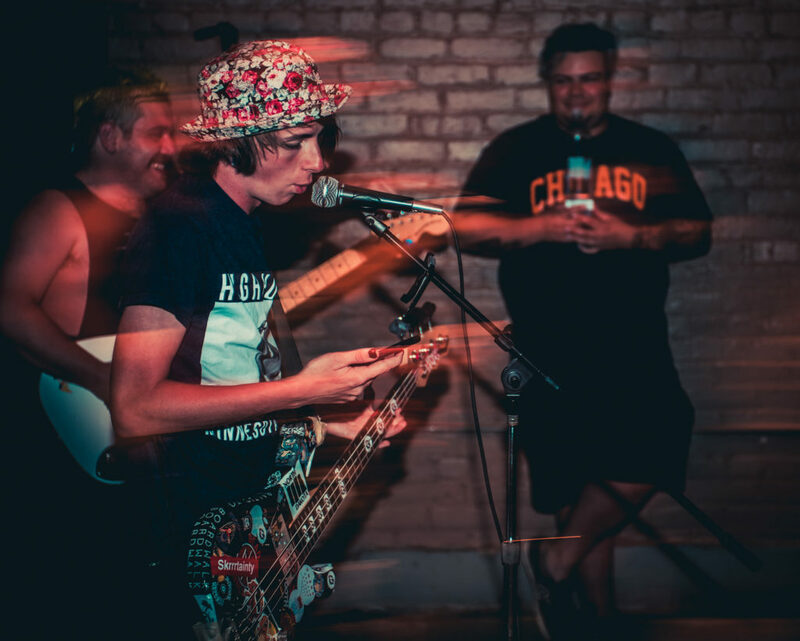 Early Jan. 15, news broke on social media that Fargo.Live photographer, Hotdish Presents cofounder and bassist for local band Cascades, Carter Amundson had unexpectedly passed away. Amundson was known by those in the scene as an infectiously energetic individual with a habit of yelling “F— yeah, Bud!” after every single song of the gig. Everyone who met him seemed drawn in immediately. Even I have my own stories involving Amundson, including the first time I ever went to a gig at Grandpa’s House in Moorhead. It was spotting Amundson’s lanky figure in his signature strawberry “Easycore” snapback hat that assured me I was at the right place. Since his death was announced, members from all sides of the scene have expressed their grief. Cascades released a statement that they were canceling all of their upcoming shows and asking for privacy during this difficult time, promising to make a more detailed statement at a later date. Fargo.Live and Hotdish Presents have decided to go ahead with the collaborative show Saturday, Jan. 19. The Red Raven Espresso Parlor gig was originally a charity event to raise money for the Homeward Animal Shelter, but in light of recent events, has become a benefit for Amundson’s family. Ussery added that Amundson had the distinction of being the only other photographer to have his live music photography featured with Fargo.Live. For those in the Fargo-Moorhead music scene, there is no doubt Amundson left a lasting imprint. At the time of this article, no details as to the circumstances of Amundson’s death have been released. When: Jan. 19, doors at 6 p.m. music at 6:30 p.m.